In March, Häfele announced their partnership with movement specialists, Grass, and unveiled the exclusive launch of the latest Grass Dynapro runner system. Häfele are now pleased to announce the latest development of the strategic partnership, with the launch of the Grass Nova Pro Scala Drawer System. The Grass Nova Pro brand has become synonymous with exceptional quality, stability and smooth-glide double-wall drawers. The latest innovation within this brand, Nova Pro Scala, develops on this reputation for excellence further, providing yet more quality and versatility to customers. Nova Pro Scala maximises the amount of space available like never before. 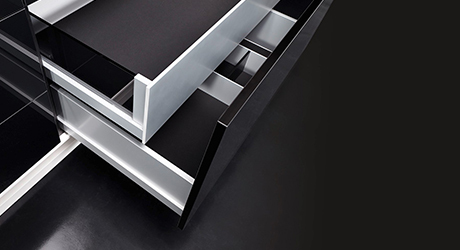 The latest offering retains the proven technology inside the drawer, offers a straight inside surface and minimum construction width, to provide revolutionary space optimisation. The soft-close mechanism ensures that Nova Pro Scala drawers smoothly and softly brake, with the integration of the specially developed liquid damper. 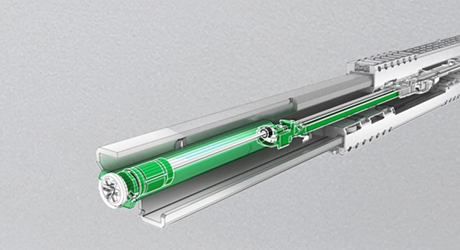 This high-tech fluid enables the closing movement to feel lighter than previous drawer systems. Nova Pro Scala provides exceptional versatility. Exterior finishes can be changed to meet individual preferences and offer complete flexibility. 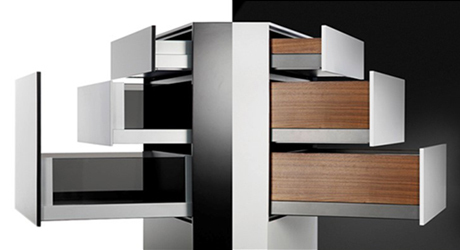 Glass, wood or metal finishes can be combined with four standard drawer heights, resulting in a truly modular system. Alongside the launch of Nova Pro Scala, Grass have designed the Tavinea drawer organisation system. Expertly crafted, this drawer accessory provides stylish and functional interior storage. Structural elements in aluminium and flexible components in wood provide an eye-catching style option for modern furniture. 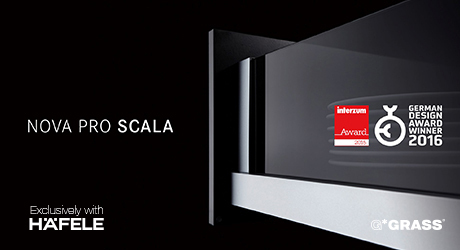 Häfele is the exclusive distributor for Nova Pro Scala in the UK and further products will follow as a result of the strategic partnership. 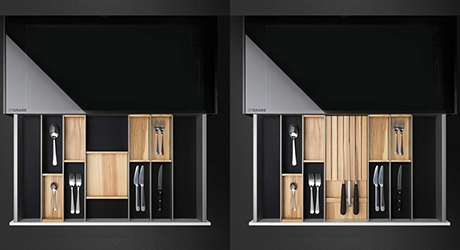 For more information on the Nova Pro Scala Drawer System, call our Sales Team on 0800 171 2909.